The best way to get in touch with us is via email and you can do this at any time, day or night. We aim to reply to all emails received between the hours of 8am – 9pm within an hour. Emails received outside of these hours will be dealt with as soon as possible within the times shown above. You can also get in touch with Cufflinks Gift Hub on 0800 772 3720 between the hours of 9am to 6pm. Calls are free from mobiles and landlines. We aim to answer you call immediately but, due to high call volumes, you may occasionally be directed to our voicemail. Please leave a message and we’ll give you a call back within the hour between 8am and 9pm. We’ll never share your data with any third parties, so you can rest assured that your information is kept safe and secure at all times. When you buy from Cufflinks Gift Hub, you can choose to complete our sign up process or simply check out as a guest. Once you have ordered from us, we may use your email to send over great offers and new product information from time to time. If you would rather we didn’t, simply get in touch to opt out. We take data protection and secure payments very seriously, so you’re in great hands. 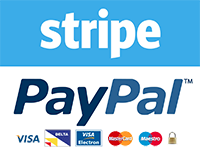 We accept all major debit and credit cards, with payments processed using either PayPal or Stripe. Both payment methods offer additional security to that provided by our secure website, which uses the latest technology to protect your financial information. All you have to do is choose your preferred method at the checkout. We never store customer’s card details and all payment information is processed in a way which makes it impossible for us to access it. Because we dispatch items as quickly as possible following your order, we normally allow 3-4 hours from the time of order in which you may change your mind. If you change your mind and let us know within this time, we will cancel your order and issue a full refund. We also offer a 30 day returns policy, so if you are unhappy with your purchase or have changed your mind, simply return the item to us for a full refund once received. Returns are accepted by post and are at your expense. In the unlikely event that an item is received faulty, we will usually request a photograph of the fault, upon receiving which we will issue a full refund without troubling you to return the item. Do your wooden products come in bags or boxes? Our real bamboo wood watches and sunglasses are delivered in high-quality wooden boxes. We wanted the quality of our packaging to reflect the quality of the products inside, so all wooden products will be received in smart presentation boxes; perfect if you’re purchasing a product as a gift! Our wooden watches are presented in a circular light bamboo box and our wooden sunglasses are supplied in a crate style presentation box. Our wooden cufflink range is delivered in our luxury black velvet cufflink bags, with the option to upgrade to a cufflink box. If I purchase some cufflinks what will they arrive in? All our cufflinks are delivered in a high quality, luxury black velvet cufflink bag. We also offer the option to upgrade to one of our cufflink boxes for a small supplement. We purposely designed our cufflink bags and boxes to be plain and logo-free, however we also offer a personalization service, with an option to add a personal message to the packaging. Do you offer free postage within the UK? We offer free standard postage on all cufflinks, with all orders sent 1st or 2nd class Royal Mail. We also offer affordable postage upgrade options for next day delivery and other signed for services. Though we are unable to offer free postage to our international customers, we do always ship items using the lowest international postage rates possible. Do you offer bulk purchase discounts or wholesale rates? Yes! Bulk purchase discounts and wholesale rates on cufflinks are particularly cost-effective for weddings, group party events, business events and conferences. If you are interested in purchasing five or more of our cufflinks or products at the same time, please contact us on 0800 772 3720 or via email info@cufflinksgifthub.co.uk. We now also offer a wholesale service. Please contact us on the above email or telephone number to discuss. Yes, we are based in North London and all of our products are contained in a local warehouse nearby. This means that we can dispatch all orders quickly and efficiently, so your items can be with you as quickly as possible. How often do you introduce new cufflink designs? We are constantly creating more designs for our cufflinks ranges and sourcing new high quality styles for our customers. We aim to add new cufflink designs to the site every couple of weeks, along with new products in our wooden range, letting our customers know by email once they become available on the website, so make sure you are signed up to hear about our new arrivals first. Can you make personalized cufflinks? Yes, we can. We require a clear image of your desired design in order to make personalized cufflinks and delivery is normally around 10 working days from the time of order. We also offer personalized cufflink boxes and gift bags, too. Here at Cufflinks Gift Hub we have over 1,500 different cufflink styles available and whilst the materials they are made from varies, all are high quality and built to last. All cufflinks are made using the highest AAA quality metal alloys and many of them are finished with either a silver coating or plating. Some of our cufflinks also have a glass finish, which is created using cabochon, a gemstone of the glass family. Using cabochon allows the image on your cufflinks to be presented to full effect and protects your new cufflinks from wear and tear. For more information on the materials used to create each pair of cufflinks, simply click on the ‘additional information’ tab on the product page. Yes, Cufflinks Gift Hub ship worldwide. Hundreds of pairs of our cufflinks have been sent around the world, including to France, Italy, Australia, USA, China and more. We offer FREE postage within the UK and heavily discounted postage rates to international locations, with delivery starting from just £2.50 per order. Do you have exclusive designs? Yes, the majority of our cabochon cufflink range is exclusive and can only be purchased directly from us. We work directly with manufacturers to import the highest quality cabochon cufflinks and are even able to create your own bespoke designs too with our in-house design team, so don’t hesitate to contact us. When can we contact you on email or telephone?